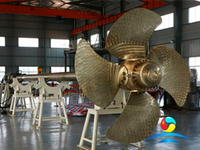 We can offer propeller diameter covers a range from 1120mm to 6700mm, and the maximum power can reach 17000kW. 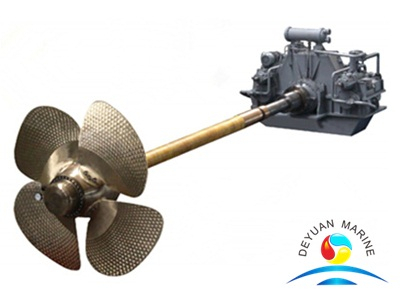 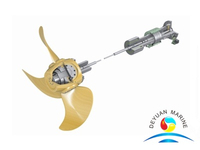 Deyuan Marine is a capable package supplier who is able to offer CPP of various shaft line arrangements, such as single screw, twin screws and parallel operation of twin engines, etc. 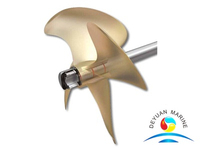 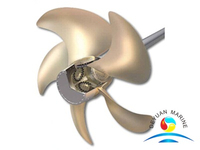 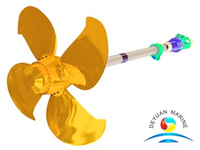 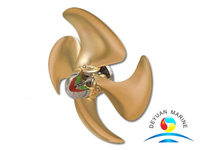 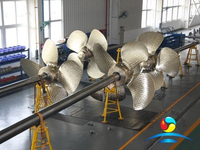 To meet the harsh ocean environment, engineers take full consideration of reliabilities during the hydrodynamic calculation, structural design and material selection, which make our controllable pitch propellers are featured with good reliability, simple configuration and maintenance friendly, etc. 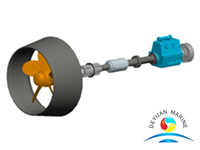 The hub is designed with large diameter servo piston, and the hydraulic force of the piston works on the yoke, so as to decrease the work oil pressure required by the hydraulic system.